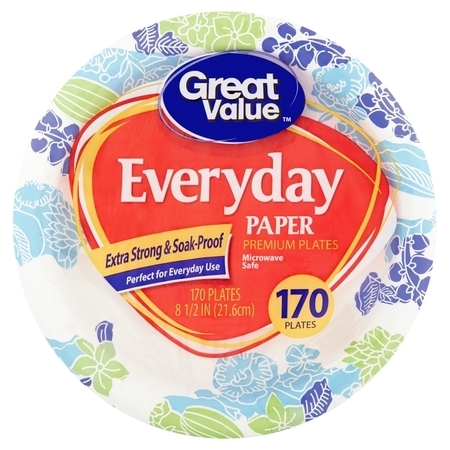 These Great Value paper plates are indeed a great value. They are less expensive than the major brand. 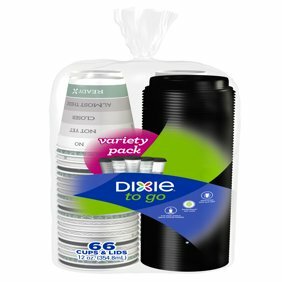 If you look at the price per plate when shopping through the various packaging quantities, you will see this brand is less expensive. My husband complained about the major brand plates sticking together and pointed out that it was hard to pick just one from the stack. We tried Great Value and they pick apart easier and the quality is just as good. Good size paper plate. Use this brand all the time. For paper plates, these are pretty sturdy. They are also coated so nothing leaks through or sticks to the plate. They are reasonably priced as well. I added these plates to my order to kick the order over the free shipping mark. I usually buy these at Smart & Final, but they are the same plates and a dollar less, since purchasing them eliminated my shipping costs, it was like getting them for free. Can't beat that! Very sturdy and handles the microwave well. Also you can't beat the price and value!